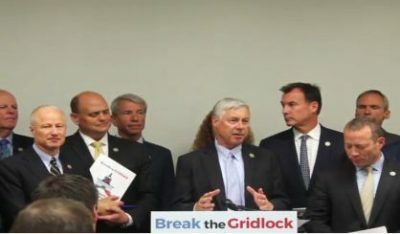 Congressman Fred Upton and the other members of his House Problem Solvers group continue to push for new House rules when the next House Speaker is chosen. The group recently announced it wants rules in place to ensure amendments or bills supported by a certain number of representatives are guaranteed consideration. Upton tells WSJM News many members are frustrated with pointless gridlock. “If we’re in the next Congress, we’ve got to change the rules to make this place work, and here are some of the things we have identified to bring bipartisanship to the process,” Upton said. Upton tells us they’re making some progress on finding support for their proposed rule changes. “I would note that some in the leadership on both sides — Steve Scalise, in particular, a Republic whip — have said very good things about what our demands are,” Upton said. Upton says the recent failure of the House to come up with an immigration plan is among the reasons the Problem Solvers want more room for bipartisanship. He says after the November elections, bipartisanship is likely to be even more necessary.